A green coloured meteor brightened up the skies over north Florida and south Georgia on Saturday. The National Weather Service Tallahassee office took to Twitter saying that the meteor was reported around 11:52 pm. As per reports, the flash from the meteor was so bright that weather satellites that track lightning and thunderstorms could record it. 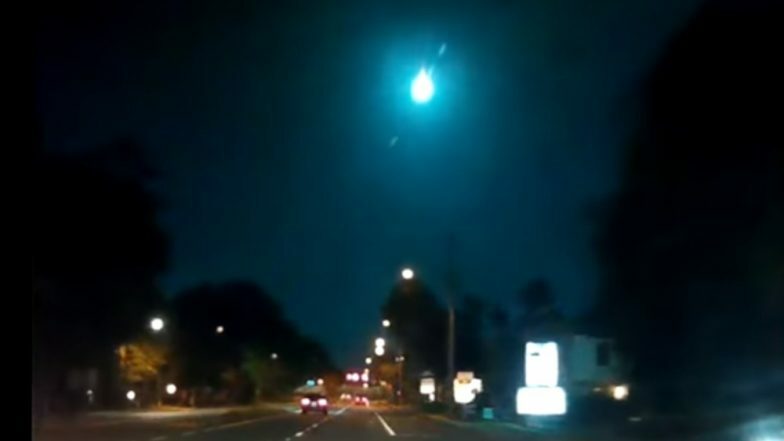 The National Weather Service in Charleston said that a mapping tool "detected the released light from the suspected fireball" about 56km east of Tallahassee. Peter Hoeflich, an astrophysics professor at Florida State University told Tallahassee Democrat said that it is common for meteors and other materials from space to hit Earth on a daily basis. However, it is unusual that so many people witnessed the dramatic event. Prior to the flash on Saturday, meteor sightings were reported across the southeast on Friday. The American Meteor Society says more than 150 reports were recorded in Alabama, Georgia, Kentucky, North Carolina, South Carolina and Tennessee. The National Weather Service in Tallahassee said that as per preliminary reports, it landed near Perry.